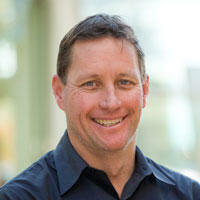 Will Law is Chief Architect within the Media Engineering group at Akamai and a leading media delivery technologist. Involved with streaming media on the Internet for the last fifteen years, he has a strong focus on client-side development and wrote many of the early connection frameworks that still drive much of the traffic flowing over Akamai today. Currently focusing on MPEG DASH and HTTP streaming, technology evaluation, 4K distribution, WebRTC, mobile media, cloud transcoding, connected devices and multi-bitrate switching, Law is a founding board member of the DASH Industry Forum, holds Masters degrees in Aerospace Engineering and an MBA and has worked previously for Adobe, Internap and a series of five engineering and media-related startups. He is a well-known public speaker in the media technology field, speaking internationally on subjects ranging from Adaptive Delivery and 4K Distribution through to New & Disruptive Technologies for Media Distribution.